Most chefs and restaurants owners know that using the right ingredients are essential for your business. It can take your food from bland to spectacular. You want to set your restaurant apart from the others. 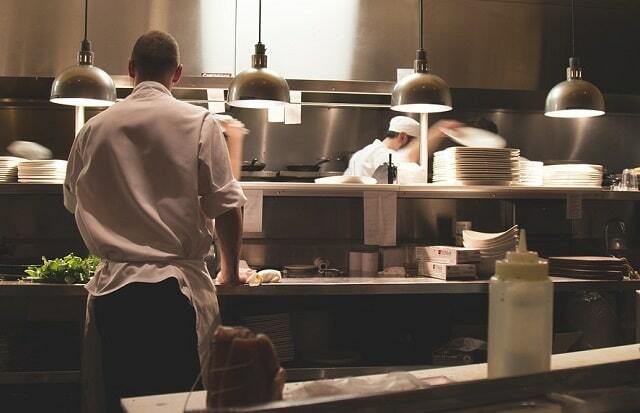 Your restaurant can excel by selecting the freshest and best products. Whether you are grilling a steak or making chicken marsala, a great meal needs more than a highly trained chef. A good meal makes memories for your clients. Here are three reasons the right ingredients make the difference in your cooking. For the best quality dishes, you want to choose fresh products. Fruits and vegetables need to be at their peak for the maximum freshness. This means that you will want to cook with seasonal produce. Vegetables should look, smell, and feel fresh. Many chefs rely on their senses to pick high-quality ingredients. Each vegetable has their own distinctive qualities to guarantee freshness. You want to find a supplier who has the best products. Spinach, kale, and lettuce should be crispy. Asparagus must have a bright green color. Tomatoes are ripe when they smell fragrant. Fruits need to be selected in a similar way. Some fruits, like a banana, are the freshest when their skins have a little give to them. Meats are the cornerstone of many dishes. Your meats will either be a tender or a lean cut. Tender cuts have the fewest connective tissues with a moderate amount of marbling. Lean cuts tend to be more flavorful due to the extra marbling in the meat. Your meals need to look visually appealing to your clients. No one wants to eat a dish that is pale in color. That doesn’t mean you should grab artificial food coloring to add a new hue. You can enhance your dishes with natural food coloring. Vegetables are one of the main ways to add more color. You can steam or roast a beet for a more reddish color to your dish. Blueberries are also used to give a blue or purplish tint to the plate. Chlorophyll in your leafy greens transforms a bland ingredient into a bright and colorful green. If you are looking to give the best presentation for your dishes, it is important to find the right ingredients. These products will take your meals and restaurant to the next level. You can outshine your competition by using the best products in your kitchen. I hope you enjoyed this blog post about why the right ingredients make a difference in meals and in your food business. Interested in more articles about succeeding in the food industry?